The Foredom Electric Company was established in 1922. Foredom is the leading manufacturer of flexible shaft rotary power tools in the world. 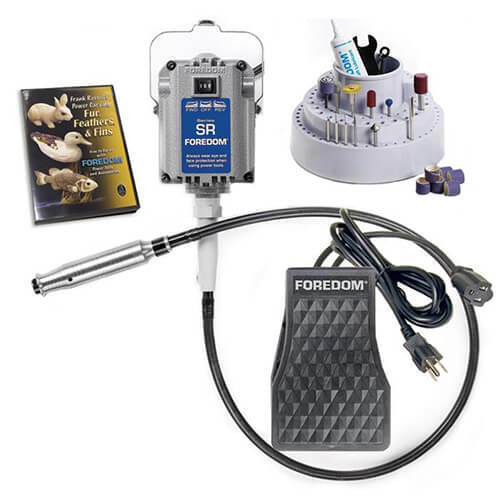 From its flagship line of flex shaft machines, to specialized motors, handpieces and bench top attachments and accessories, Foredom tools set the standard in quality, power and performance. Foredom flexible shaft power tools are used for many different applications such as hand grinding, deburring, carving, sanding, cleaning, buffing and polishing on all types of material; wood, metal, plastic, glass and stone.